TO RAISE A CHILD, WHO IS COMFORTABLE ENOUGH TO LEAVE YOU, ME - ProudMummy.com the Web's Community for Mums. 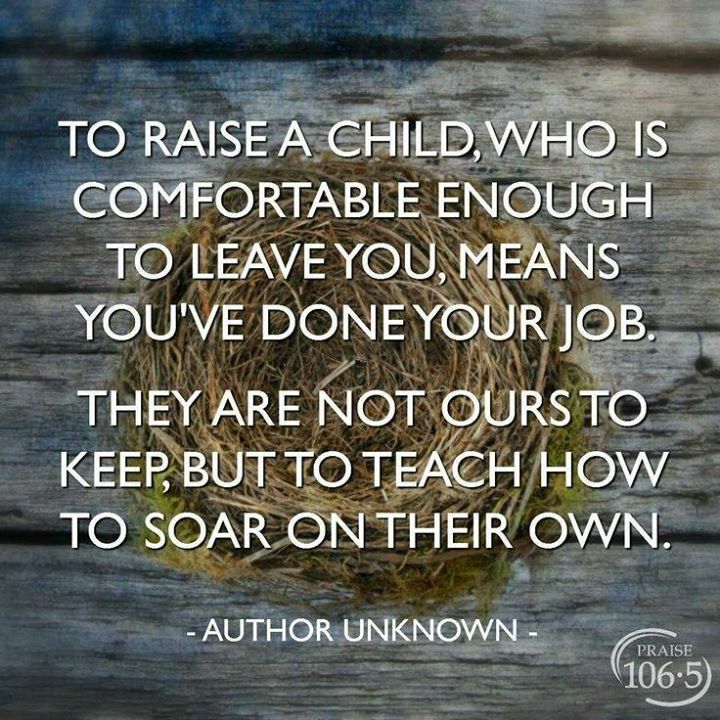 TO RAISE A CHILD, WHO IS COMFORTABLE ENOUGH TO LEAVE YOU, MEANS YOU'VE DONE YOUR JOB. THEY ARE NOT OURS TO KEEP, BUT TO TEACH HOW TO SOAR ON THEIR OWN.